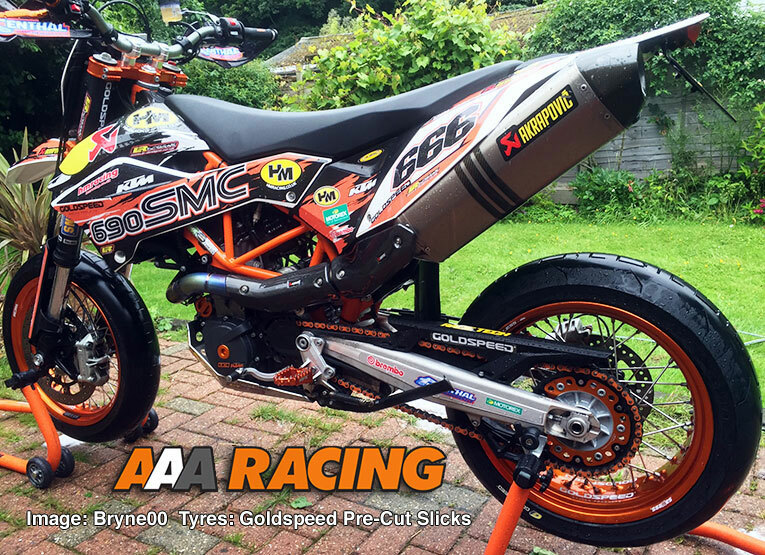 Goldspeed Pre Cut Slicks offer the best possible dry tarmac grip, especially when extra grip is required for the odd damp patch or that tricky off-road section, even more amazing is that these tyres are completely road legal! 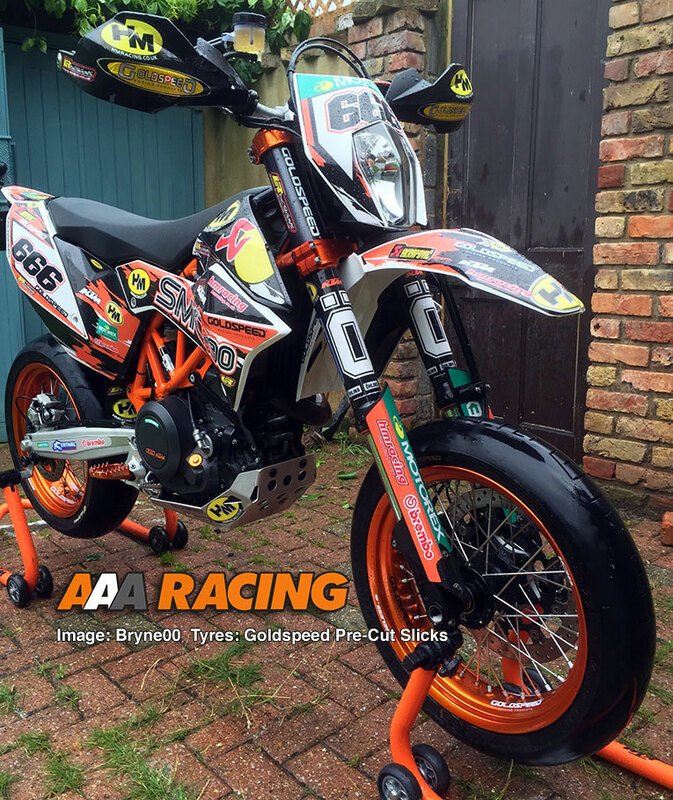 Perfect for Supermoto track days and fast Sunday afternoon's! 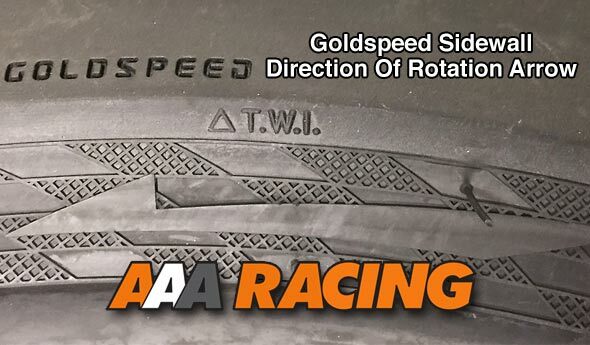 With proven race-winning pedigree, Goldspeed Pre-Cut Slicks offer the re-assuring knowledge that the only limit to your cornering speed is in your head!